At Cooper, we understand the importance of time and convenience. That’s why we offer a wide selection of online training courses right here at your fingertips. Sign up today and get your company up to date on the latest industry training standards. This online WHMIS course provides a comprehensive series of lessons on the essential topics of the Workplace Hazardous Materials Information System. 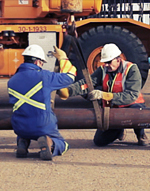 This course covers the regulations, practices, and techniques required to safely sling and rig loads. This comprehensive online First Aid awareness course is designed to provide information required to respond appropriately to injuries. This online Ladder Safety course covers what everyone needs to know about the most common ladder dangers. This online Back Safety course covers what individuals needs to know about the most common back injuries. 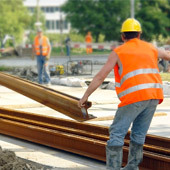 The primary goal of occupational health and safety management is to maintain a healthy and injury-free work environment. Chainsaw safety is critically important. Chainsaws are often the most dangerous tool on a worksite. This course will help you to better understand the dangers. In this course the worker will learn about more about Safety Data Sheets and Pictograms, as well as potential physical and health effects of hazardous chemicals.